The benefits of modern medicine are clear. Lower infant mortality, longer life expectancy, a range of once killer diseases all but eradicated—fewer “therapeutic” leeches. But challenges? Yes, there are still plenty of those too. 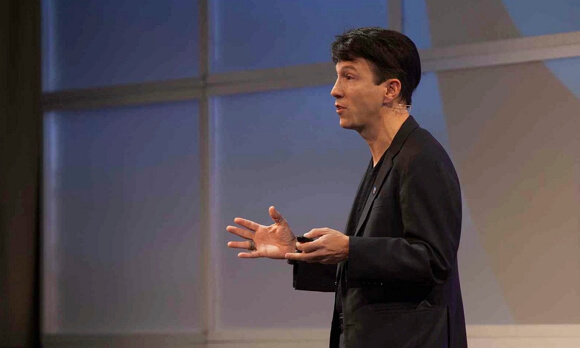 In a recent conversation, Dr. Daniel Kraft, Faculty Chair for Medicine and Neuroscience at Singularity University, stated that the US spends some 18% of gross domestic product on healthcare and yet, according to a 2013 report, ranks 17th on a list of 17 developed countries by outcome. Even as more patients sign up for insurance, he says, there is a growing shortage of providers, particularly in primary care. And in light of millions of aging baby boomers and rising obesity rates, the US healthcare burden is set to grow more burdensome. 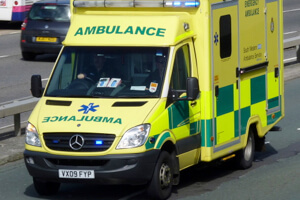 Our healthcare system tends to catch conditions late, resulting in expensive procedures and hospital stays. In the very broadest terms, Kraft believes the current system focuses too much on what he calls “sick” care and not enough on “health” care. We incentivize the medical system and doctors to put patients in hospitals and to do procedures after they’re sick, instead of rewarding simpler measures to prevent illness early on. For much of history, medicine had to be reactive, to focus on fixing patients, because the causes of disease were largely unknown. But that’s less true these days. This evolution is perhaps most visible in the recent proliferation of “quantified self” devices, like FitBit or the Nike FuelBand. These devices can track steps, calories burned, sleep, and other activity-related data. Then they communicate the numbers to your smartphone to be tabulated and visually presented. 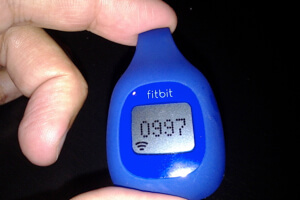 The Fitbit activity tracker was an early entrant to the increasingly crowded quantified self market. Whereas just a few years ago “quantified self” was a sparsely populated market, the space has since become saturated with activity trackers embedded in clothes and worn on body parts, from your wrist to your dog’s collar. At CES 2014 in Las Vegas, where Kraft was part of a quantified health panel, he was greeted by a barrage of new mobile and digital health-related technologies. There was quantified self, of course, but also “quantified health.” Everything from a piece of jewelry tracking sun intensity and exposure to promote healthier skin to a sensor-laden Sleep Number bed monitoring sleep patterns. Beyond wearable devices, quantified health sensors may find their way into even ordinary household items. To make the most of all this new self-knowing technology, you’ve got to sort through a lengthening list to find what’s right for you and your individual needs. Kraft with co-founders, Nima Ahmadi and Hunter Spinks, recently formed a new company called Bioniq Health. Bioniq’s initial product is a platform enabling consumers, patients, and clinicians to discover compare, rate, and purchase devices, apps and services to optimize wellness and to help diagnose and manage disease. Bioniq will help users integrate and selectively visualize, share, and gain actionable insights on information generated by the growing array of connected health technologies. 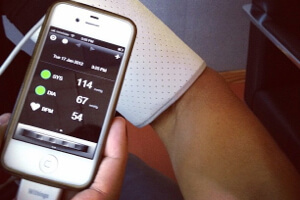 Withings’ smartphone-compatible blood pressure cuff tracks blood pressure at home. The site features quantified self wearables, like the Basis Watch, but also devices for measuring vital signs such as blood pressure, blood oxygen, blood glucose, and brain waves; a smartphone-compatible stethoscope; and a connected fork to track how fast you eat (slower is better!). You’ll also find services like uBiome (to analyze your microbiome) or 23andMe, as well as a range of novel technologies which will enter the market soon, such as the Scanadu Scout, a competitor in the Qualcomm Tricorder X Prize competition. Kraft hopes Bioniq Health will be a hub for the growing community of consumers, patients and doctors excited about digital and connected health. Instead of handing out the same old pamphlet on how to lose weight, doctors can go to Bioniq Health to “prescribe” technology—like a smart scale or activity tracker—to patients. But of course, the future of medicine goes beyond quantified health. What else ought we keep an eye on? Kraft, Executive Director of the Future of Medicine Executive Program (now Exponential Medicine, a conference next being held Nov 9-12th which brings together health innovators and explores the re-invention of health and medicine), rattled off a list of trends to follow in 2014 and beyond. Some trends we’ve faithfully covered at the Hub. Emerging applications for new health tech like cheap 3D printed prosthetics or non-embryonic stem cell therapies for degenerative blindness. Kraft notes the latter will enter clinical trials soon. 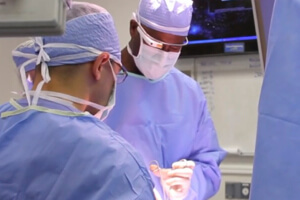 We recently wrote about surgeons wearing Google Glass in the operating room. According to Kraft, wearable interfaces like Glass will become more common in clinical settings, allowing clinicians to more easily view patient files or images. A number of companies are already working on health related Glass apps. UCSF surgeon, Pierre Theodore, uses Google Glass to view patient CT or X-ray images during surgery. Doctors, he says, will soon describe symptoms to Glass—for example, a 35-year-old woman with fever, pain, and a rash—and Glass apps will query well-known systems like Isabel for a suggested diagnosis and its probability. IBM’s Watson, recently infused with $1 billion and given its own business unit, may provide similar services. As diagnosis taps an AI in the cloud, treatments will get more personalized. Cancer researchers, for example, have found the genetic mutations causing cells to run riot in tumors are all different. Boston’s Foundation Medicine, now offers genetic analyses of a patient’s tumor to inform an individually targeted therapy. Perhaps the most powerful new advances, however, are where two or more technologies merge. Newly public firm, Organovo, is 3D printing tissues using a patient’s own cells for personalized drug screening. Eventually, they hope to print new organs—circumventing organ donor lists and limiting the risk of rejection. And likely coming to cardiologists later this year, Stanford spinout HeartFlow bills itself as a “non-invasive assessment of coronary artery disease.” The service will upload patient CT scans to a system in the cloud, render anatomically correct 3D models, color coded to call out potential blockages, and send the analysis back to physicians. HeartFlow’s new technique may disrupt the current state-of-the-art practice of diagnostic angiography which images the coronary arteries by inserting a catheter into the heart. The big picture, according to Kraft? Accelerating information technologies, merging with smaller and more powerful diagnostics, sensors and devices are bleeding into health and medicine—an area where they are sorely needed and have the opportunity to improve millions of lives. “We’re moving from a world of intermittent and reactive to continuous and proactive,” Kraft says. 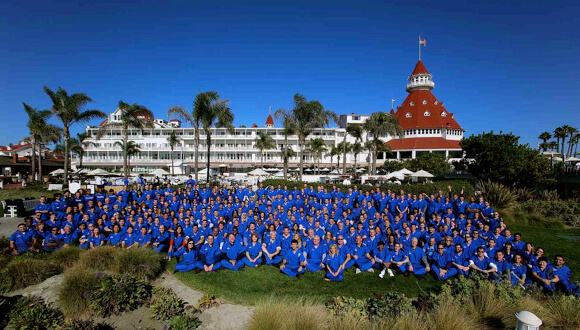 Future of Medicine EP (now Exponential Medicine) participants at the San Diego event in November 2013.